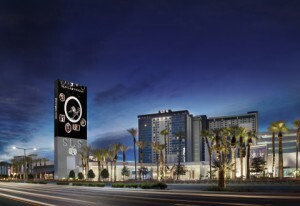 Starwood announced the Tribute Portfolio has officially debuted in Sin City with the addition of the SLS Las Vegas, a Tribute Portfolio Resort. The 1,600-room hotel is located on the North End of The Strip and features a boutique hotel, LUX, which will be converted into a W Hotel next year. Starwood and the Greek airline Aegean have entered into a membership agreement, allowing SPG members to convert their Starpoints into Aegean Miles+Bonus award miles. SPG members will be given an extra 5,000 miles for every 20,000 Starpoints converted to Miles+Bonus award miles. Element debuted in one of the ski capitals of the U.S., Aspen. Element Basalt-Aspen is located near Aspen, Snowmass Village, and White River National Forest, and features 113 light-filled studios and one-bedroom suites. Four Points Cincinnati North opened this week with 90 spacious guestrooms, contemporary American cuisine at Fuel, and 4,500 square feet of meeting space. 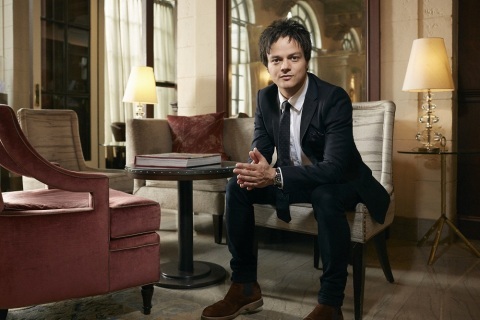 Jamie Cullum has been named the newest St. Regis Connoisseur and will lead the Jazz Legends at St. Regis series, which launches next year in New York. Travel Weekly reports Sanctuary Cap Cana by AlSol in Punta Cana is now an adults-only property, welcoming guests aged 18 and older. Hilton Hotels & Resorts announced the opening of the Hilton Amsterdam Airport Schiphol, which replaces the previous Hilton Amsterdam Airport Schiphol that opened in 1972. The new hotel has a cubic design and a 137-foot high glazed roof, plus 433 rooms, including 12 suites and 96 Executive rooms. Hilton also announced its newest property in the UK, Hilton Bournemouth, a 172-room property with panoramic views of the coast and UK’s first eforea spa. The hotel is located near the Bournemouth International Centre, a blue flag beach, and Bournemouth Gardens. 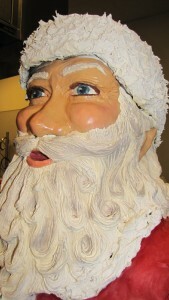 A larger than life Christmas display has taken over the Hilton Americas-Houston’s lobby with Santa Claus, Olaf, the Grinch, a festive gingerbread village, and more. The delicious display, the brainchild of the hotel’s Pastry Chef Mahesh Weerasinghe and Pastry Chef Glenna Artripe, was entirely hand-sculpted from 2,500 pounds of chocolate and chocolate dough. Philadelphia Business Journal reports that The Logan Philadelphia opened last week after completing a renovation to become a part of the Curio Collection by Hilton. The hotel now boasts 391 rooms, 64 with marble bathrooms and French doors, and is only steps from the Franklin Institute and Free Library of Philadelphia. The property was previously a Four Seasons hotel that closed earlier this year. IHG announced the 16th location of the Holiday Inn Club Vacations Scottsdale Resort in north Scottsdale, Ariz. The hotel will offer 213 one-, two-, and three-bedroom villas as well as one-, two-, three-, and four-bedroom Signature Collection Reserve villas, plus four pools, family activity center, and more. The resort will open in two stages in 2016. InterContinental opened its fifth hotel in France, InterContinental Bordeaux – Le Grand Hotel. The hotel features 18th century architecture, upscale boutiques, and luxurious restaurants. Bordeaux was named UNESCO World Heritage Site in 2007.